Sign-Zone is a manufacturer of visual communication, event and promotional display merchandise. Founded in 1989, Sign-Zone is headquartered in Brooklyn Center, Minnesota and has grown to over 400 employees strong. They maintain a production facility in the Twin Cities region along with eight remote distribution facilities across the United States. Sign-Zone distributes their products through corporate owned outlets: Creative Banner Displays, Showdown Displays and Victory Corps. 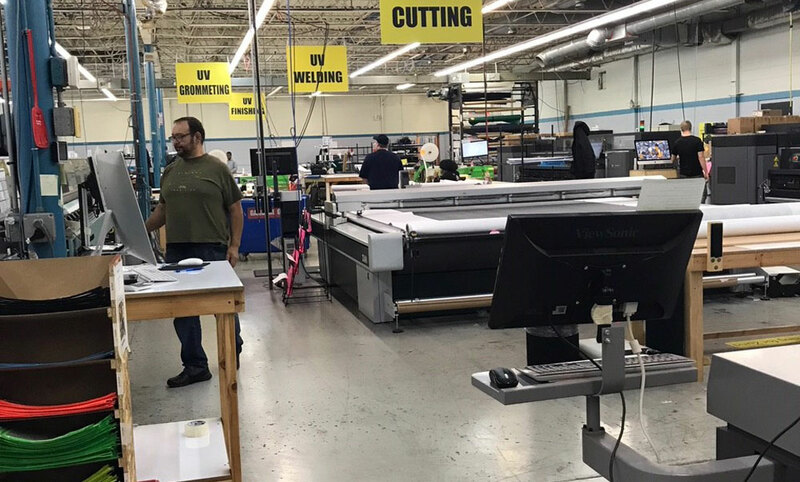 Sign-Zone’s 100,000 square foot production facility is made up of seven value streams that are managed by about 150 staff. Each value stream consists of workstations responsible for three to four tasks, for example, printing, sewing, or assembly. The production facility operates six days a week from Sunday to Friday running three shifts daily. In 2006 Sign-Zone adopted Microsoft Dynamics NAV to help support its production and accounting functions. 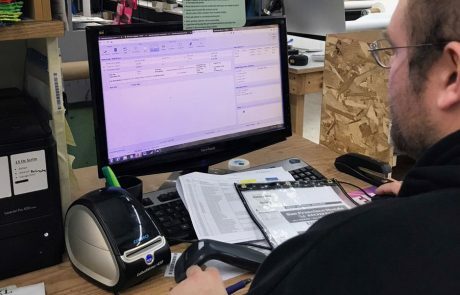 A homegrown internal website was developed to deliver customer sales order information from NAV to the shop floor where employees would carry out the manufacturing process. 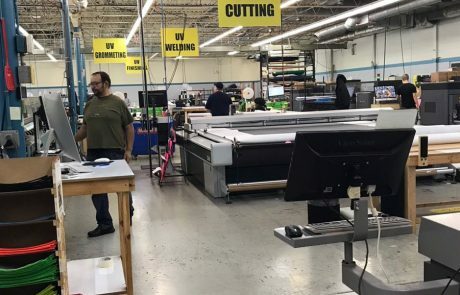 Today, Sign-Zone processes 600-1,200 production orders a day. Sign-Zone had been using the basic inventory functionality offered in Dynamics NAV. As such, Sign Zone’s visibility was limited to what warehouse an item was located in. They did not know the specific location or bin within the warehouse. Inventory was difficult to manage. Dynamics NAV would allow inventory levels to enter negative digits. Production workers would assemble orders based off sales orders. Sales orders lacked a detailed material list and production orders. As such, workers had to rely on tribal knowledge to manufacturer items. There was no structure in scheduling which items should be produced including how and when they move through different workstations. This caused mistakes as well as the use of wrong materials when producing items. While supervisors were aware of what orders were assigned to specific workstations, there was no visibility into how many hours of work was required for an order at any given time. 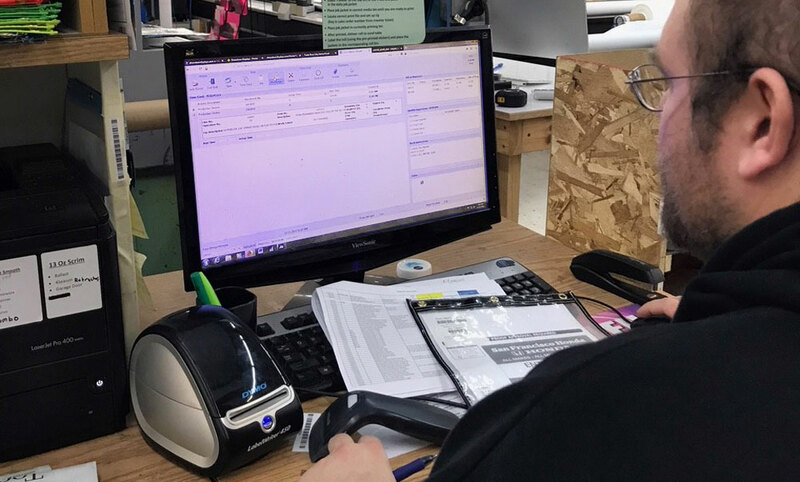 Some customer’s orders were large enough to consume all production floor resources for several days so it was challenging to manually balance scheduling smaller orders with earlier due dates while still ensuring larger commitments stayed on target. With so many orders being shipped daily, it was difficult to track the status of orders in production and ensure a priority sequence so shipping cut-off times would not be missed. All sales orders maintained the same level of priority regardless of delivery dates, as a result, items were not being produced at the correct time so shipping dates were missed. Clearly identify production orders and communicate these orders to workers. Workers need to know what their specific task is and when it needs to be done. Identify the priority of each production order. Once the objectives were identified, the Sign-Zone team created a requirements document. At that point, Sign-Zone reached out to their Microsoft Dynamics NAV partner. The partner met with Sign-Zone to understand fully their objectives and requirements. By enabling and configuring the advanced warehouse features in Dynamics NAV, Sign-Zone can accurately manage and track the inventory needed for production orders. The specific location and quantity of each item can be easily identified. Warehouse Insight from Insight Works is an add-on for NAV that brings mobile device integration to the warehouse floor. Warehouse Insight combined with 15 Datalogic Falcon X3+ handheld computers with scanning capabilities enabled Sign-Zone to process receipts, put-aways, picks, movements and perform inventory and cycle counts in the most effective manner possible. The result is an accurately and efficiently managed inventory system. Assign specific tasks to workers. Identify when a task was complete and can be moved onto the next stage. Measure scrap and defects which prompts the scheduling of rework. Display operation, part, and order specific work instructions including raw materials and viewable print/drawing. Each workstation is equipped with a touchscreen computer enabling workers to interact easily with Shop Floor Insight. Sign-Zone manufactures a breadth of products which can be customized by the customer. This results in thousands of unique production orders requiring an advanced planning and scheduling solution. MxAPS from Insight Works works together with NAV and Shop Floor Insight to create a responsive, repeatable and highly accurate production schedule. MxAPS accurately generates efficient production schedules with the ability to respond to unplanned events such as scrap resulting in work that needs to be redone. MxAPS combined with Shop Floor Insight communicates to the workers on the production floor their specific tasks and timelines. Every hour MxAPS will automatically generate a new schedule to account for new orders, rework and time remaining on existing orders. Each new schedule will generate a status report so supervisors can easily identify if any orders are in jeopardy of missing their shipping deadline. When generating a schedule, MxAPS will group similar production materials together to reduce machine changeover time. MxAPS automatically breaks larger orders into multiple smaller orders and includes them in the daily schedule. If production falls behind when processing large orders, MxAPS will automatically increase the daily quantity required to make up any shortfall and meet the due date. 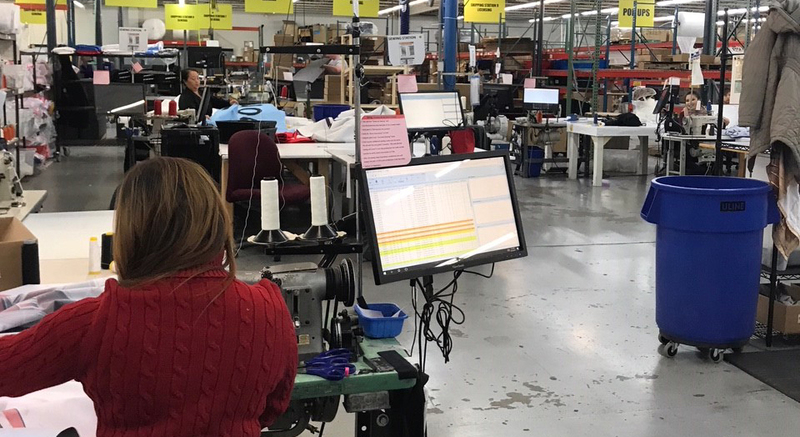 While the integration of the add-on products from Insight Works is relatively straight forward, Sign-Zone identified specific processes they want followed on the production floor. Sign-Zone’s NAV partner employed their team of professionals to configure NAV and the other components of the solution. The adoption of the new processes and software tools by production workers was, for the most part, seamless. Staff welcomed the change as it provided the necessary insight into what items needed to be produced at what time using what process with what materials by which specific employee. Each computer terminal was equipped with a printed set of instructions that included a precise set of processes to follow. Within a couple of days, staff adapted to the new process. Reduced scrap and re-work due to more clearly defined tasks. Items are produced on time because of clearly defined and prioritized schedules. New staff is more productive as their tasks are clearly defined. Materials are available when needed because of inventory is accurately tracked and maintained. Better decision making at the management level due to increased shop floor visibility. Significantly reducing the manual effort previously required as a result of automated scheduling. This project was a culmination of efforts between Sign-Zone, their Microsoft Dynamics NAV partner, and Insight Works. Between Sign-Zone clearing identifying their requirements and the NAV partner understanding and implementing those requirements, a best-of-breed solution was designed to deliver for the customer. Transparent communication between all parties involved paved the way for a successful integration.